The Surgery Management Improvement Group Inc. provides the tools and assistance to plan the management succession for your operating room. 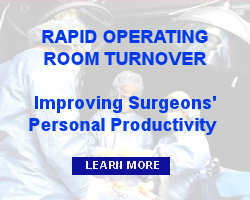 Our process identifies key roles, the management capabilities of existing staff, and cultivates qualified internal candidates to become superior leaders for tomorrow's perioperative environment. A severe shortage of experienced, surgery leadership is increasingly evident throughout the country. Accomplished Operating Room Directors have been retiring or leaving the field to pursue other career opportunities. Reduced margins have forced hospitals to "flatten" their organizations, limiting opportunities for focused, individualized leadership potential and skill development. Surgery managers typically evolve from the ranks of exceptional clinicians. Top clinical performers often have the potential to demonstrate a similarly high level of expertise in management, but require significant preparation for these new roles and responsibilities. 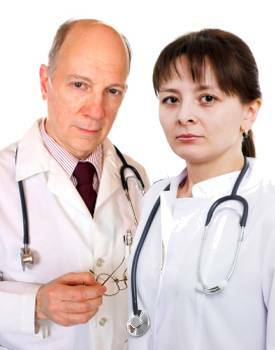 Surgery administrators frequently fail or give up prematurely during this role transition due to the lack of appropriate preparation, administrative support, definitive career planning and development. Additionally, the critical shortage of nursing professionals feeding the pool of young managerial talent has been exacerbated by the absence of skilled leaders to guide their professional growth. Regular administrative feedback regarding the progress of individual(s) leadership development. Contact SMI Group today to discuss your Succession Management needs.